I really enjoy Barry Devlin’s approach to Business Intelligence. He is an under-appreciated name in the industry (he was one of the originators of ‘Data Warehouse’ way back in the mid-’80s), so when he has something to say, it’s worth a listen – especially when he challenges ‘modern’ perceptions of Data Warehousing and the BI Industry. And this brings me to the purpose of this post. For those in the Asia Pacific region, Barry is presenting a course on Big Data Analytics & Reinventing Business Intelligence in Singapore July 6-8th, 2015 (http://bit.ly/1E3I90e). So, what’s to be expected from the course? You can get the full agenda here (http://bit.ly/1c7hHIv). Briefly, the course covers the complete range of topics on how to design a modern information/data environment, ranging from the fundamental principles of how all types of data should be absorbed and used within the organisation to an overview/assessment of tool choices and the implications of new neurobiological thinking about how decisions are really made. Having read Barry’s latest book “Business unIntelligence – Insight and Innovation Beyond Analytics and Big Data” (http://bit.ly/BunI_Book), I suggest that this is a perfect opportunity to investigate the strategic direction of BI (from an organizational or consulting perspective) and address the implementation of BI. 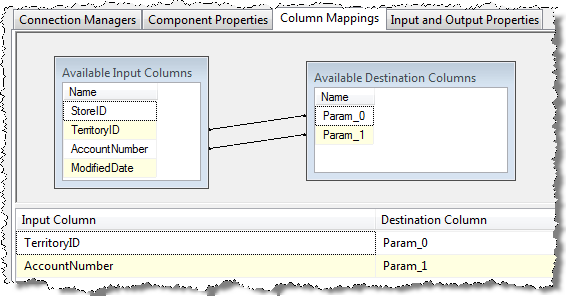 This post was originally going to be about using the advanced features of a SSIS OLEDB command to set parameters. I’ve been using Oracle sources lately and the OLEDB command did not recognise the parameters for my query. For example, my in my work environment, the statement (below) just did not recognise the key_field parameter and so I had to manually add it through the components advanced editor. 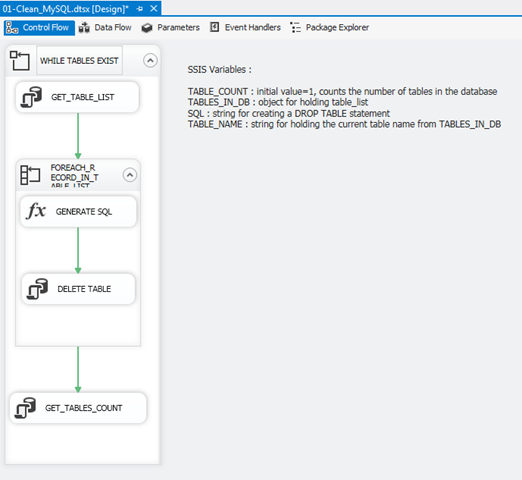 We’ll look into the advanced features a little later, however, when I tried to mimic the behaviour (using a MYSQL connection), the only issue I had was creating an OLEDB connection in SSIS. I have ODBC connections on my machine however, (naturally enough given the components name), the OLEDB command requires an OLEDB connection. 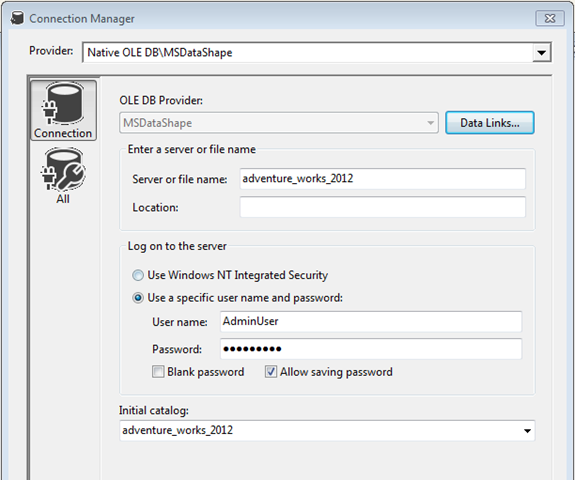 So, to create an OLEDB command (and have it reference an ODBC source), simply use the Native OLE DB\MSDataShape provider and use the ODBC name as the server (as in the image below). The UserId, Password and catalogue/schema can all be set through the connection managers interface. and the column mappings tab of the OLEDB command allows me to map fields in my source (input data flow) to my command (ie parameters in the destination). We can see this in the mapping screen shot below. You will notice that the names are generic (Param_0 …. ) and refer the the placement of the ? symbols in the source query. That’s not really user friendly and if i want to give these meaningful names, you would think that I can set them in the Input and Output Properties (using the Name Property as below). However, this is not the way this UI works and the name defaults to the placement of the ? in the query. Long story short, you can’t control the names of the parameters. However, this part of the (advanced UI) does give us a little indication into how to add parameters. If no parameters are recognised, my can add them through the ‘Add Column’ button on the External Columns node of the Inputs and Outputs tab. This is what i had to do with my Oracle command.